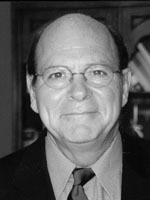 Leonard C. Burrello is Professor of Education and Chair of Educational Leadership Program and Executive Director of The Forum on Education at Indiana University. He is currently studying school improvement in rural schools within a distributive leadership framework and consulting with the Gates Initiative on Small Schools for the University of Indianapolis in the Indianapolis Public Schools. With co-author Lauren Hoffman he completed at three organizational consultation project in Washtenaw County, Michigan where they helped create a new planning framework using the work of Robert Fritz. They are also working with the Illinois Cooperative Leadership project in Illinois to help build more learner-centered schools. With Lynn Murray, his collaboration began in 1993 in a study of her leadership in a suburban district in Vermont and she has consulted with both authors helping to build a new organizational structure and planning process in a large urban Midwestern school district. He teaches courses on moral and distributive leadership, and organizational change at Indiana University.